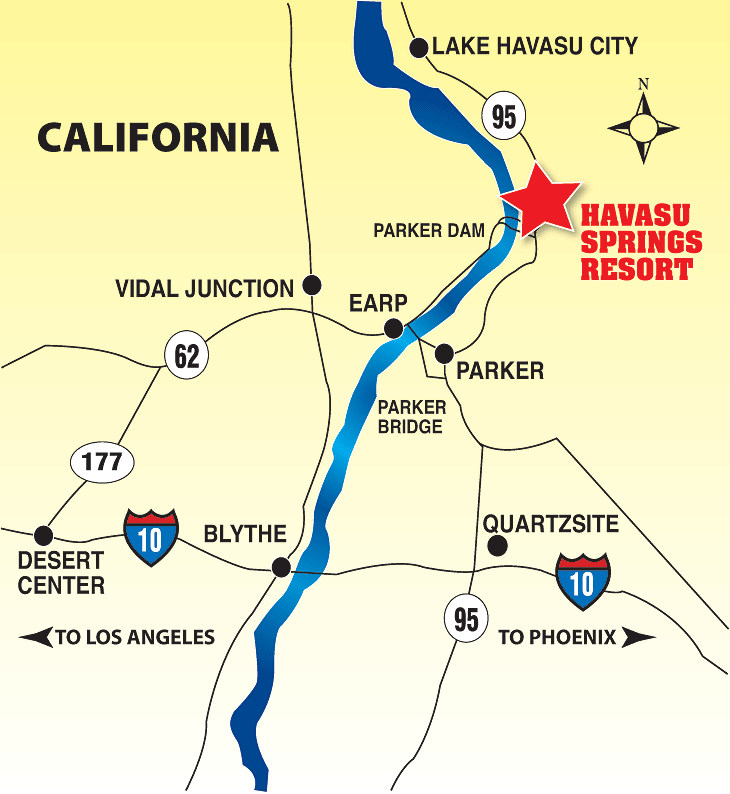 From Lake Havasu City: Go south on Highway 95 approximately 39 miles. Turn Right on Havasu Springs Rd. From Parker: Go North on Highway 95 approximately 13 miles. The Resort is on the Left on Havasu Springs Rd.